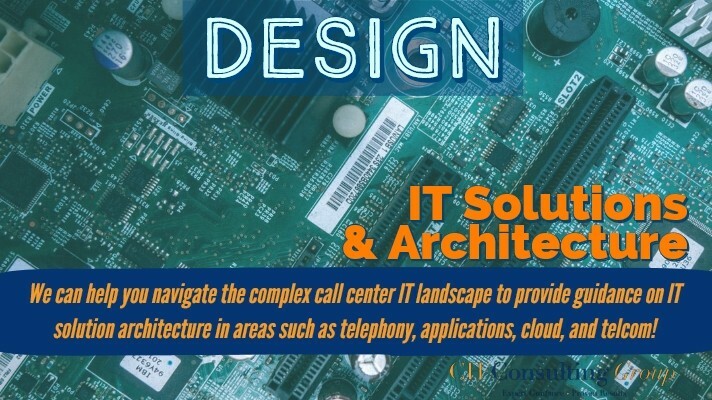 CH Consulting Group can assess your contact center’s current technology landscape and provide comprehensive IT solution architecture services. This includes solution ideation, solution design, and solution implementation. We can help your team navigate through the complex call center IT world and provide the guidance you need to explore your options, select the best possible solution, and ensure that the solution is implemented properly. CHCG is ready to be your dedicated resource for all your IT initiatives! If you want to learn more, please fill out the form today for a free proposal. We would appreciate the opportunity to learn more about your business and show you how we can help.